Cyber Monday FREE Album Download!! I'm continuing the Thanksgiving weekend free album download for Cyber Monday! 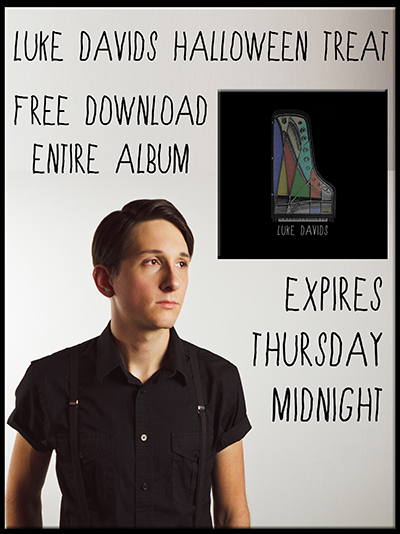 You will be able to download my entire album for FREE until midnight tonight!! Posted on November 26, 2012 by Luke Davids and filed under Bands and Music and tagged Free Music Cyber Monday Download. Free Download - Entire Luke Davids Album!! Posted on November 22, 2012 by Luke Davids and filed under Bands and Music and tagged Thanksgiving Free Music. 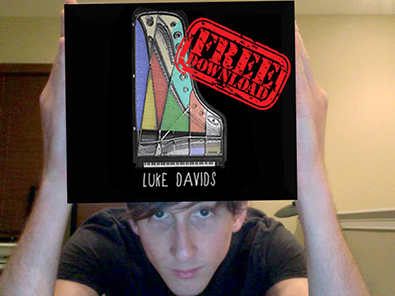 Download Luke Davids' Album for Free!!! Posted on October 31, 2012 by Luke Davids and filed under Bands and Music and tagged Halloween Free Music.